1) 工業製品と農産物の相対価値の変化。前者は減少し、後者が増加する。Relative value between manufactured commodities and raw produce. The former relatively decreases while the later increases. 2) 資本蓄積は速い速度で進むが、労働の供給はそれほど速く進まない。労働需要が労働供給を上回るため、(貨幣価値を一定と仮定すると)賃金は上昇する。Accumulation of capital progresses more rapidly than labor supply. As demand for labor outpaces labor supply, wages tend to rise. 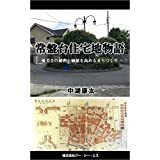 3) 土地の供給には限りがあり、また、資本蓄積、人口増に従って、肥沃な土地から段階的に劣位な土地が開墾されていく。収穫逓減、限界生産力逓減の法則が述べられる。 Supply of land is limited, and less fertile land is progressively cultivated. With progress of capital accumulation and increase in population, marginal product of capital and labor diminishes. The law of diminishing returns is discussed. 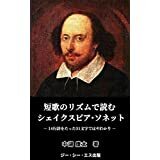 以下、できるだけ丁寧に読み進めることにしたいと思います。I would like to follow Ricardo’s deployment of discussions carefully. From manufactured commodities always falling and raw produce always rising, with the progress of society, such a disproportion in their relative value is at length created that in rich countries a laborer, by the sacrifice of a very small quantity only of his food is able to provide liberally for all his other wants. First, the supply and demand of laborers. Secondly, the price of the commodities on which the wages of labor are expended. In different stages of society, the accumulation of capital, or of the means of employing labor, is more or less rapid, and must in all cases depend on the productive powers of labor. The productive powers of labor are generally greatest when there is an abundance of fertile land: at such periods accumulation is often so rapid that laborers cannot be supplied with the same rapidity as capital. It has been calculated that under favorable circumstances population may be doubled in twenty-five years; but under the same favorable circumstances the whole capital of a country might possibly be doubled in a shorter period. In that case, wages during the whole period would have a tendency to rise, because the demand for labor would increase still faster than the supply. In new settlements, where the arts and knowledge of countries far advanced in refinement are introduced, it is probable that capital has a tendency to increase faster than mankind; and if the deficiency of laborers were not supplied by more populous countries, this tendency would very much raise the price of labor. In proportion as these countries become populous and land of a worse quality is taken into cultivation, the tendency to an increase of capital diminishes; for the surplus produce remaining, after satisfying the wants of the existing population, must necessarily be in proportion to the facility of production, viz. to the smaller number of persons employed in production. Although, then, it is probable that, under the most favorable circumstances, the power of production is still greater than that of population, it will not long continue so; for the land being limited in quantity, and differing in quality, with every increase portion of capital employed on it there will be a decreased rate of production, whilst the power of population continues always the same. Copyright© 2019 株式会社ジー・シー・エス(GCS) 中湖康太 経済投資コラム All Rights Reserved.